The Rhino Poaching Scourge in South Africa has made international news because of its horrific cruelty, and the absolute nonsensical beliefs fueling it. 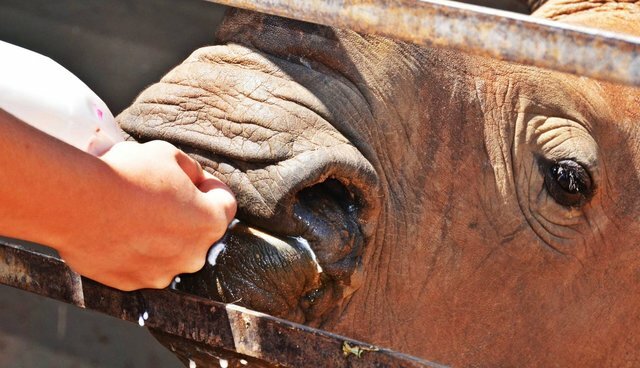 The silent victims who have no voice are the almost 100 rhino babies in sanctuaries in South Africa at present. 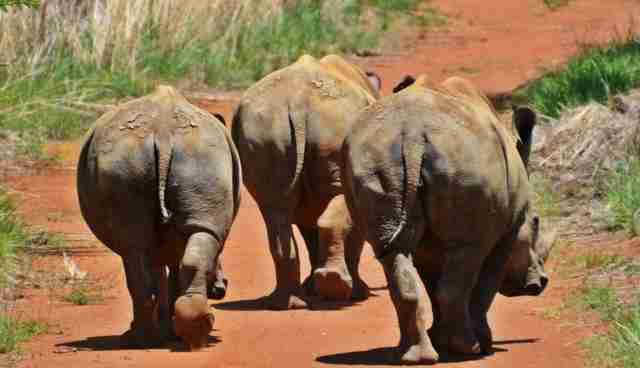 They are the babies whose mothers were targeted in one of most barbaric of all criminal activities – poaching. One man and his team of dedicated carers are making a difference in the lives of precious rhino babies: Arrie Van Deventer started The Rhino Orphanage in 2012, with the sole aim of looking after and rehabilitating the victims of poaching. It was a world first, and many doubted that it would ever be needed as much as it is right now. But Arrie stuck to his dream, and with the help of his friend Paul Cilliers from Legend Lodges, the dream took a physical form. The Rhino Orphanage is a very special place, because no animal is turned away – Arrie's love for them runs way too deep. With Limpopo's beautiful Hangklip Mountain silently watching over the rhino orphanage in the heart of the African bush, it is difficult to fathom the need for these sanctuaries. Man's greed seems to be a world apart from there. The Orphanage is not open to the public, because the aim is to re-wild the babies once they are strong enough. Nobody here wants a petting zoo. Every true animal lover wants the rhinos to be free, wild, happy and safe (with their horns intact like nature intended). It's just that it is becoming increasingly challenging to get that done. Orphaned baby rhinos are often very weak, severely traumatized and dehydrated, because they refuse to leave their dead or dying mothers. They need intensive care and specialized treatment as soon as possible, and likely for a few months after being rescued. As soon as the Rhino Orphan gets a bit stronger, their constant human contact needs to be reduced, so that the human imprint can start fading. This is crucially important if there is any hope of them being truly wild and free again. Rhino babies are split into different age groups, because they are so strong - they can easily hurt one another when different ages are grouped together. Unfortunately this also means that sometimes a baby can be lonely, having no-one in his age group for company. This is currently the case with Kabelo, a five month old White Rhino baby. Babies like these need more human care than babies in pairs or groups. Lydia is the patient, vocal sheep who befriends every rhino baby who arrives at the orphanage, until it's time for them to become more independent. The team of carers are currently looking after 18 rhino babies at the orphanage. The saddest part, Arrie says, is that we are only saving around 10% of the babies who fell victim to having their mothers poached. This means that only one in ten babies are making it to the orphanage to be cared for, the rest are not making it out of the reserves where they die from dehydration, starvation or injuries resulting from the poaching attacks. It is a heart-breaking statistic. 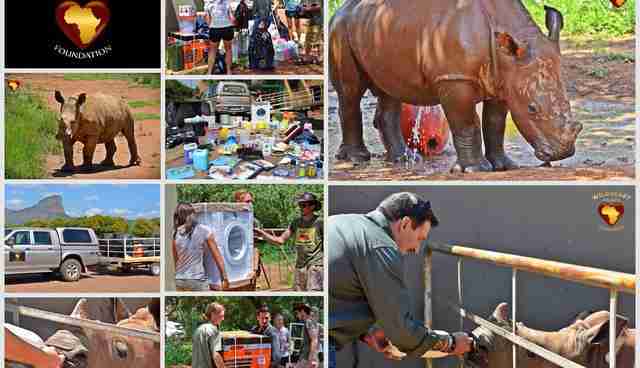 Wild Heart Wildlife Foundation recently did a special Fundraising Drive for the orphanage. With the generous support of the public, we have been able to supply the orphanage with critically-needed supplies and capital items, to enable them to go about their important work of saving the rhinos. This included a generator for power outages, infra-red lamps to keep the babies warm, a 500 liter water trough perfect for thirsty rhinos, among loads of other necessities, all of which can be viewed on our website. We managed to tick quite a few of the bigger items needed off the wishlist! This delivery is part of WHWF's ongoing Project RhinoOrphanCare, and illustrates our commitment to Ethical Conservation. Because the needs of these babies are ongoing, they need continuous support, which we aim to provide to the best of our ability.